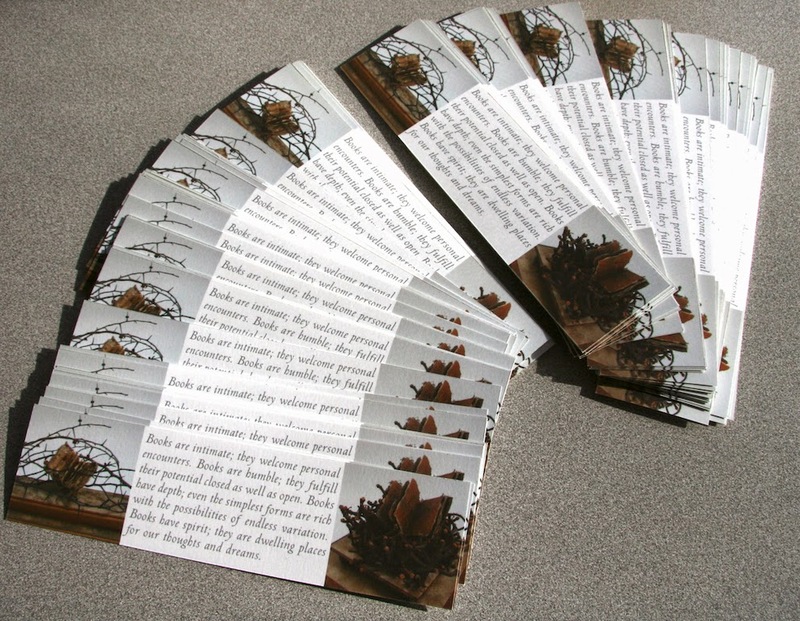 The Bookmarks projects series aims to encourage appreciation of work in the format of the artist's book. 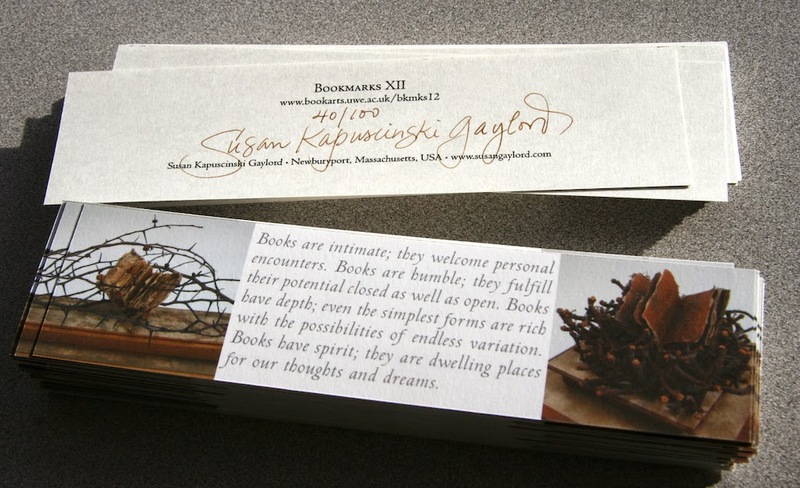 Participating artists each produce an edition of 100 signed and numbered bookmarks to give away through distribution boxes at venues around the world. Each bookmark has the website address which brings visitors to the gallery of artworks online. I wrote the words on my bookmark shortly after I began to make books and they still hold true for me today. Books have depth; even the simplest forms are rich with the possibilities of endless variation. These are great what a brilliant idea, love your words.